NYPD officers are increasingly being subjected to vicious verbal abuse on New York City streets — and doing next to nothing about it — because of a hands-off policy that’s being preached from the top, law enforcement sources told The New York Post. 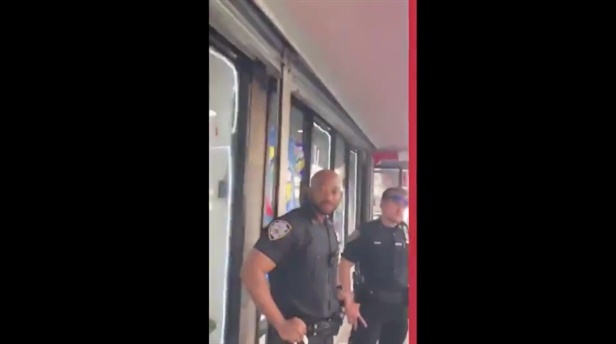 In the latest in a string of caught-on-video examples of brazen disrespect and abuse toward officers, a group of six uniformed officers is subjected to a blue-language tirade hurled by a man who had fit the description of a suspect but turned out not to be their man. The officers allowed the 20-year-old to videotape himself going on an offensive, foul-mouthed tirade against them for nearly five minutes before one of the officers finally did something despite all but one of his fellow cops walking away, the video shows. Some law enforcement sources said the incident once again illustrates the ridiculous hands-off approach that officers have been trained in. "Your hands are tied,"’ a source said. Disrespect for officers has gotten so bad that Sergeants Benevolent Association president Ed Mullins sent a letter to Police Commissioner James O’Neill last week blasting him for the "lawlessness and complete lack of respect for police officers that has been so blatant under your tenure."